Before we delve into the data, first, a bit of information about cryptojacking. For those who are unaware, cryptojacking is a specific type of cybercrime that sees malicious hackers take control of a victim’s piece of technology, forcing the device to mine cryptocurrencies for the hacker’s personal gain. Cryptojacking malware, although generating only a few cents per device affected, can easily sweep across thousands, if not millions of computers, netting the hackers a nice reward. The method of attack is usually through an infected website, file or piece of media that will install a script into the background of the victim’s device. Although some might not notice that their computer power gets siphoned off by an attacker, others may begin to notice higher electric bills, and a slow-down to the device they are using. 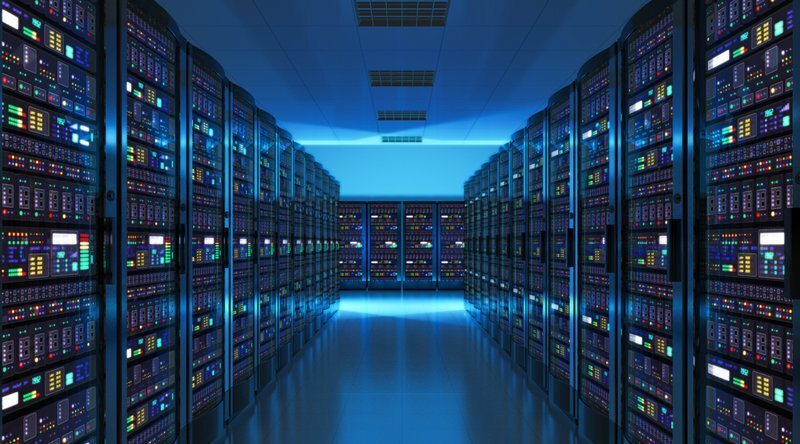 Cryptomining detections are slowly declining; however, as one of the top two detections for both businesses and consumers, they still dominate the threat landscape… The trend in detections closely mirrors the ebb and flow of cryptocurrency market prices, including Bitcoin, Ethereum, and Monero. Ultimately, many criminals aren’t getting the return on investment (ROI) from cryptomining they were expecting. The cryptojacking craze will likely stabilize as it follows market trends in cryptocurrency. The collective value of all cryptocurrencies has declined by over 65% since the start of 2018, but network hashrates continued to rise, resulting in a substantial drop in profits. In fact, some farms have begun to shut-off their machines in anticipation of losing large sums of money with their mining operation. It has become apparent that the money just isn’t there for a majority of cryptojacking operators, resulting in a move from this cybercrime to another. 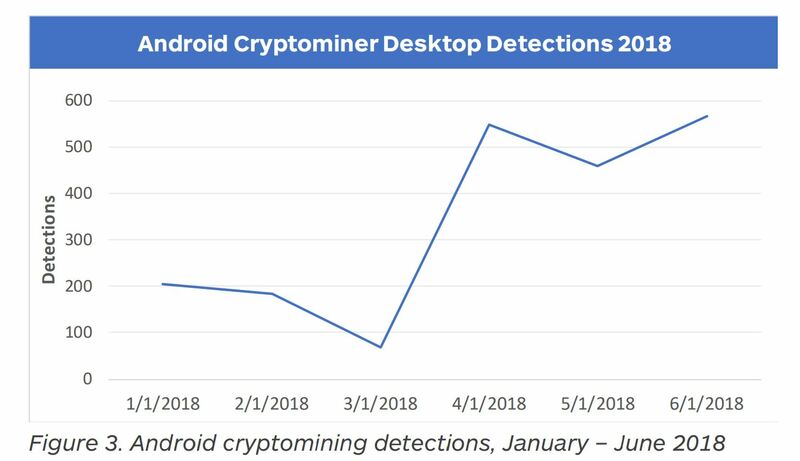 Despite seeing an overall decline in cryptojacking detections, especially on desktop and lap top devices, Malwarebytes pointed out that detections of Android cryptominers were up 244% in comparison to 2018’s first quarter. It is likely that the anti-malware/anti-virus capabilities on Android devices are often lacking, resulting in attackers utilizing this flaw in security. In fact, in May, the number of Android miner detections dropped by 16 percent from the previous month. However, despite these inconsistencies, Q2 still managed to come in with 244 percent more miner detections than Q1. The Android landscape is likely where we’ll see an overall increase in the use of miners. Until changes in the cryptocurrency market cause a spike or swift downturn, expect to see cryptomining hum along at its current slower pace into Q3.